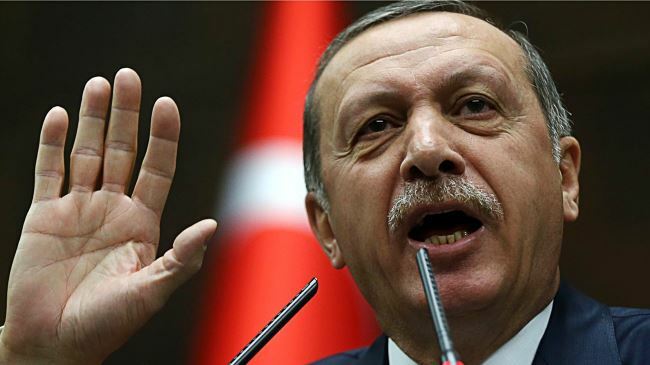 Press TV – Turkey and Israel have expelled their envoys amid growing tensions between the two sides over the killing of dozens of Palestinians in the Gaza Strip at the hands of the Tel Aviv regime’s forces. In response, the Turkish government summoned Israel’s Consul General in Istanbul Yossi Levi Safri and asked him to leave the country. Turkey had already recalled its ambassadors to Tel Aviv and Washington in the wake of the inauguration of the US embassy in Jerusalem al-Quds on Monday. Additionally on Tuesday, Turkish President Recep Tayyip Erdogan and Israeli Prime Minister Benjamin Netanyahu traded barbs over the recent carnage in Gaza. Israeli forces killed at least 62 Palestinians during protests near the Gaza fence on the eve of the 70th anniversary of the Nakba Day (the Day of Catastrophe), which coincided this year with Washington’s embassy relocation. Erdogan took to Twitter to defend Hamas and slam Israel’s decades-long crimes against the Palestinian people. “Reminder to Netanyahu: Hamas is not a terrorist organization and Palestinians are not terrorists. It is a resistance movement that defends the Palestinian homeland against an occupying power. The world stands in solidarity with the people of Palestine against their oppressors,” he tweeted. The Turkish leader further said that Netanyahu had the blood of Palestinians on his hands. “Netanyahu is the PM of an apartheid state that has occupied a defenseless people’s lands for 60+ yrs in violation of UN resolutions. He has the blood of Palestinians on his hands and can’t cover up crimes by attacking Turkey,” he added. Meanwhile, Turkish government spokesman Bekir Bozdag said that Ankara held the US equally accountable for Israel’s massacre of Palestinians in Gaza.